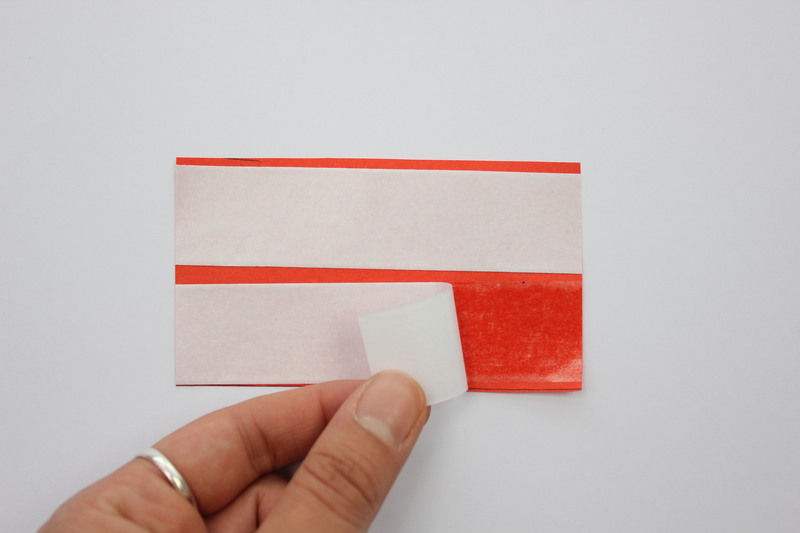 Peel off the white backing of the double sided tape on the red paper. 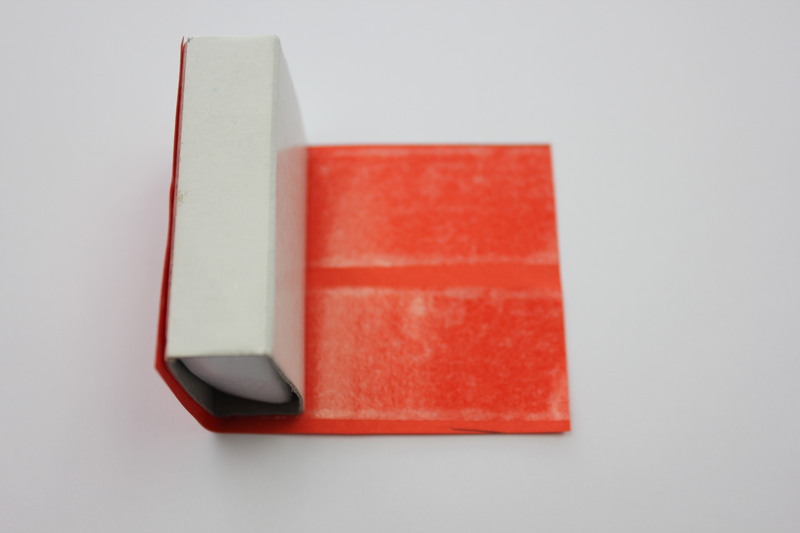 Align the red paper on the white box and stick it on, rolling it around the box covering all but the two smallest sides. 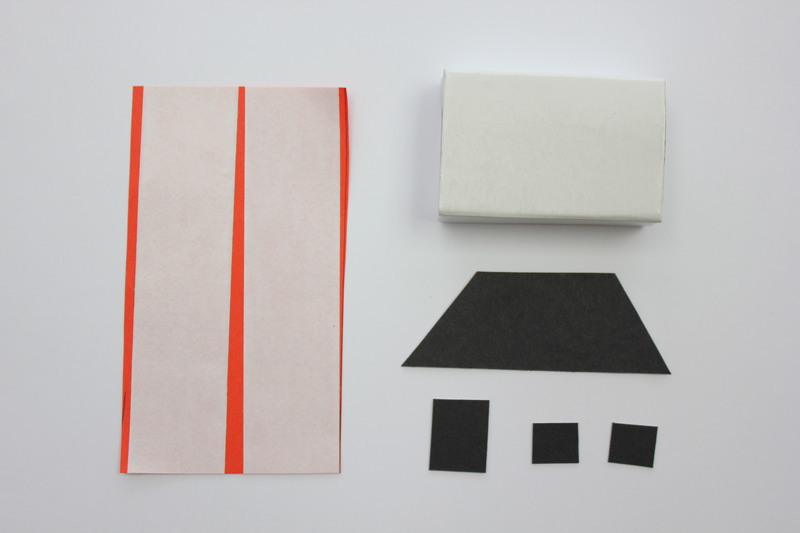 Peel off the white backing of the double sided tape on the roof and stick this on. 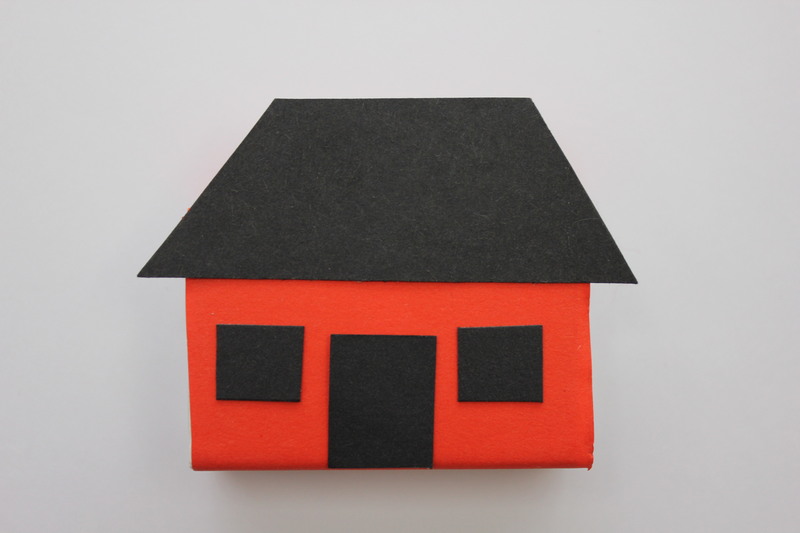 Do the same with the windows and door.